Wheelchair accessible camping sites are increasing in numbers and the facilities are becoming more and more user friendly for the disabled. 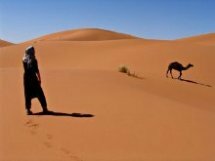 So there is no reason for you to give up any camping activities, just because you have to use a wheelchair to move around the world. 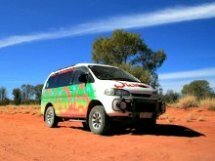 Most camper van conversions or other recreational vehicles can be adopted or converted for the needs of a disabled person. Just search the internet, and you will find a vehicle that meets you demand sooner or later. Not everyone needs the same adaption, but an elevator ramp or lift, enabling wheelchair access and an accessible chemical toilet are usually the two most important accessories a disabled person needs. 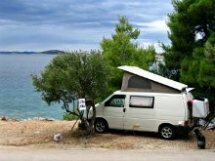 Quite a few rental companies around the world offer a wheelchair friendly camper van or a larger motorhome or Rv in their fleet. That way you can also discover far away places of you choice. Some simple adjustments can even make tent camping possible. A tent large enough to store your wheelchair and allowing you to slip onto the inflatable mattress with ease will usually do the trick. A few tents are already customized for the disabled. If you don't find them on the internet, hook up with your local disabled community or perhaps a forum and find somebody that will make them suitable for meeting your desired adjustments. Camping sites may even offer mobile homes, bungalows or cabins which are customized for people with disabilities. Raw camping just isn't cut out for everybody, so these facilities will offer you some more comfort. A few adaptions to the camping gear and motivation should allow a disabled person to fully enjoy the great outdoors. Just think about how things would work out best for you. Research, explore, invent and share with others is the best you can do. After all, this in where all the best camping ideas come from. In our mind of course. One thing you might not want to forget is having durable or off road tires on your wheel chair. It improves the grip on gravel and mud or any other harsh pavement just in case you want to rough it out. Mobility around the camping area and access to the camping facilities are the number one problem here in some cases. I'm not disabled, but I have been camping in Europe for most of my life, helped people with their wheelchairs get around, so I can pose my observations from this part of the world only. Wheelchair accessible camping sites are of course available around the world, so there is no reason for you to back up. It just takes some more research to do. And you're all kindly invited to share your thoughts about wheelchair accessible camping areas throughout the world. And you're all kindly invited to share your thoughts about wheelchair accessible camping areas throughout the world. Help each other out and share your thoughts and experience! 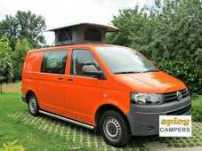 Camping in Europe with more then 10,000 camping sites does have something for everyone. You can camp near the main cities, out in the country or by the lakes, rivers and of course the sea. 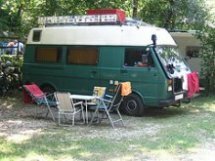 The camping scene is a bit different from the rest of the world over here and of course includes the easy going European lifestyle. Mainly a flat and leveled ground for easy access. Power hookups just in case you need some special appliances. Wheelchair accessible reception, restaurant, bar and the store or supermarket if there is one. Access to the beach or a fishing spot for example. Other accessible activities such as swimming pools, walking areas or whatever else you might be available. The most common complaint from campers with disabilities is that the reality is sometimes a bit different than described in most camping guides. I realize that the term wheelchair accessible camping is hard to comprehend by some of the camping site owners or managers. So it will sometimes be up to you to explain what exactly do you actually need for you and others to benefit later on. This way, you can do some community work, while you're on the road. Most of the owners/managers will pay attention to you, while some will simply ignore you. In such an ignorant case, just forgive them, as they don't know any better at the time. A lot of camping sites have been renovated in the recent years here in Europe and I can say that many did an outstanding job in terms of wheelchair accessible camping facilities. However there are exceptions and that is what you should get prepared for. Camping guides like the Dutch ACSI Eurocampings guide or the German ADAC for example will give you a rough description of how a certain camping site looks like and what it has to offer for a disabled person.They also offer out of season discounts, which are in many cases more then generous. There are of course many other websites and blogs that will describe and help you find the right camping site for you. This is just one of them describing how to get around France in a wheelchair. 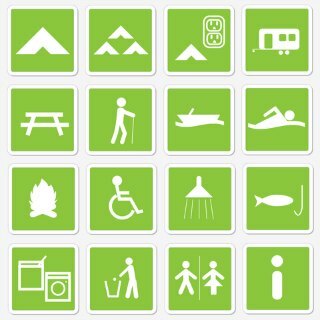 Use the guides to filter out camping sites that offer wheelchair accessible camping. After you do that, check out the individual websites of selected camping sites. Most of the camping sites have one, so use it for your inquiry. Once you get the general idea by browsing through the on-line camping information, send the owner or the management an e-mail (make a phone call or use Skype if you wish so) for further information about their wheelchair accessible camping options and facilities. Public transportation from and to the camping site with customized vehicles is often available, so remember to check that out as well. Do your homework and check around before your next vacation. You just might find a place where you will feel as comfortable as you can. That way you can fully enjoy your vacation. And don't forget to share you wheelchair camping experiences on the comment forms below. 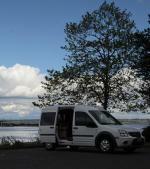 It will help many other disabled people and you as well while following camper van fun.com! Share your thoughts and experiences. Let us know if you really enjoyed exploring a certain part of the world. 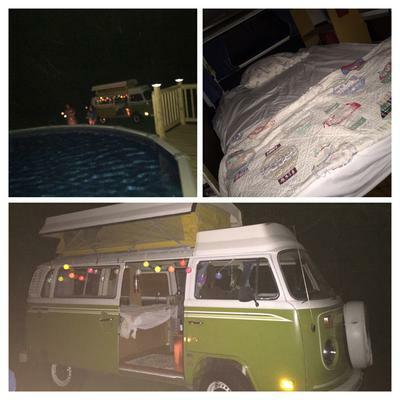 Maybe you can share a couple of camping and traveling tips with us as well. And a few great photos will be pure magic for us! It's easy! Just fill in the form below. I promise to use it only to send you Camper Van Fun News.